Loopmasters proudly welcome back Terry Grant with a brand new royalty free sample collection – Dark Dub Odyssey is a beautiful Dub symphony packed with cinematic soundscapes, orchestrated instruments, and spectral beats that float on a foundation of heavy bass. 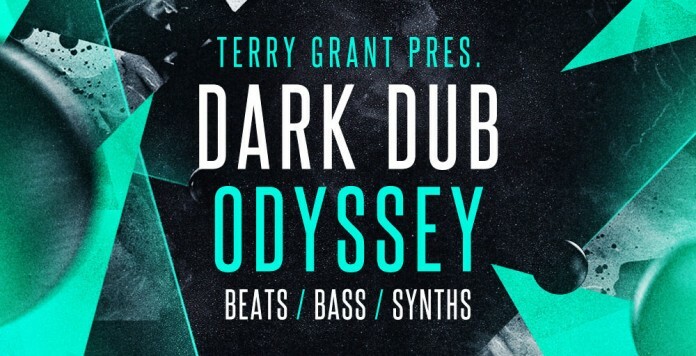 Terry Grant Dark Dub Odyssey features an inspiring selection of real world instruments including Bass Guitars, Pianos, Acoustic Drums and Percussion – fused with dark, synthesized electronics in the form of Synth Bass, Pads, Electronic Drums and FX. This combination of Loops in a range of musical keys and BPMs will give your Dub experiments a mystical, understated sound packed with authenticity. The production values in this pack speak for themselves, with a meticulously dark, yet melodic sound. The Drum and Percussion Loops are expertly programmed and subtly processed to cut through the mix – with evolving Pads painting an immersive, organic and enigmatic atmosphere. Over 500 24-Bit Wav Loops are included at 80, 100 and 120BPM – well suited for a wide range of genres including Dub, Hip Hop, Downtempo, Lounge, Ambient, Dub Tech and Chillout. Each musical element is Key Labelled, allowing for flawless mixing and matching with existing projects and songs. Get lost in the shadows of Dark Dub Odyssey – Listen to the demos above, and download the FREE Taster Pack today!